The overwhelming response was consensual: YES! Have the shower! I admit, I REALLY wanted as shower when we prepared to adopt twelve years ago. 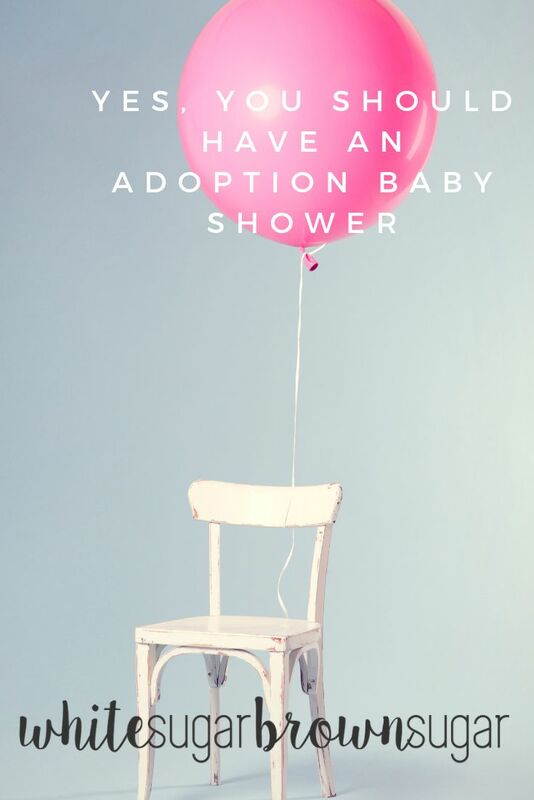 As soon as we revealed that we were going to adopt, my sister and friend started planning our shower, which happened just a few weeks after we officially started waiting. It was everything I hoped for. Sugary sheet cake and snacks. Lots of conversation. And of course, so many gifts. The ducky theme was gender-neutral and adorable. I think what meant the most was how many people turned out to celebrate with us. My guess is, many had never been to an "expecting a baby" shower before. In fact, it was my first adoption baby shower. 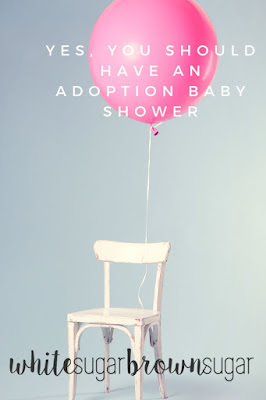 1: Don't have the shower for a baby you are matched with (in a domestic infant adoption). The truth is, that baby isn't yours. The love for the baby may be growing rapidly in your heart, but that baby is "the baby" and not "your baby" if and until TPR and revocation are over. I am not saying to withhold excitement. I'm not saying "guard your heart" to the point that all pending-motherhood joy is sucked out of your soul. What I am saying is that you need to respect and honor the expectant parents and the unborn child by being ethical in all your choices: big and small. I read it almost weekly. Hopeful adoptive parents post about a failed adoption after they already had the baby's nursery completely ready, complete with the baby's name on the wall, and lots of baby goods received at their baby shower, including monogrammed bibs. I'm not a superstitious/knock-on-wood kind of person. So I'm not saying "don't jinx the match." What I am saying is this: if the adoption doesn't happen, you're choosing so much more pain by walking past an empty nursery with a baby's name on the wall, a baby you will not bring home. By all means, get a nursery ready, but leave some space for personalization after a placement. So going off point #2, be sure to register. There are so many benefits to this including avoiding duplicate gifts, getting discounts on future purchases, and more. Target, for example, offers it's registrants a discount on anything not purchased off their registry. Registering for gifts also allows you to ask for what you want and need. Having a registry makes returns and exchanges easier as well. Registering helps you "nest" for your baby, again, helping you feel that you are a REAL mama-to-be. 4: Celebrate the opportunity to educate others. Expect lots of questions about adoption. This is a fantastic opportunity to educate others. We even put an adoption Q and A on the tables for our guests, which our older attendees especially appreciated. You can use adoption children's picture books to help decorate, as well. And don't forget to toast your guests for supporting you and loving on your future baby! Many hopeful adoptive moms struggle to feel like Real Expecting Moms (which I talk about extensively in my latest book). There is so much guilt, confusion, uncertainty, and anxiety that come with waiting to adopt. This often stems from a good place (ethics and empathy-which you can learn all about in the free e-book I send out). But bad feelings feel, well, bad. You have to make up your mind to enjoy your baby shower. After all, you've attended your fair share of showers, supporting other mothers-to-be. You need to decide that you ARE a REAL hopeful mom who IS expecting a baby via adoption. Because of that, it is perfectly OK to enjoy preparing for the baby who will become yours and the motherhood that awaits you.